I am heading to Reno in a couple of days to attend Left Coast Crime, my first ever ‘fan’ convention. Readers and writers of mysteries and thrillers gather from all over the West Coast to celebrate crime fiction of all kinds. This is the first time I’ll be attending as an author with a published book to promote. Last time I went, I attended as a fan rather than an author to see what the convention was like. I didn’t want to show up in Reno for this conference and have no clue what might be happening. I met a lot of really nice people–readers and writers alike–who were very encouraging. One lady I sat next to a number of times asked me about my work. When I told her I didn’t have anything out yet, she asked me for my card so she could keep tabs on me. She assured me she loves any and all mystery genres. My first fan? One of the events I have signed up for is author speed dating. I am paired with another author to move from table to table filled with readers. We each get two minutes to introduce ourselves and hand out our swag. 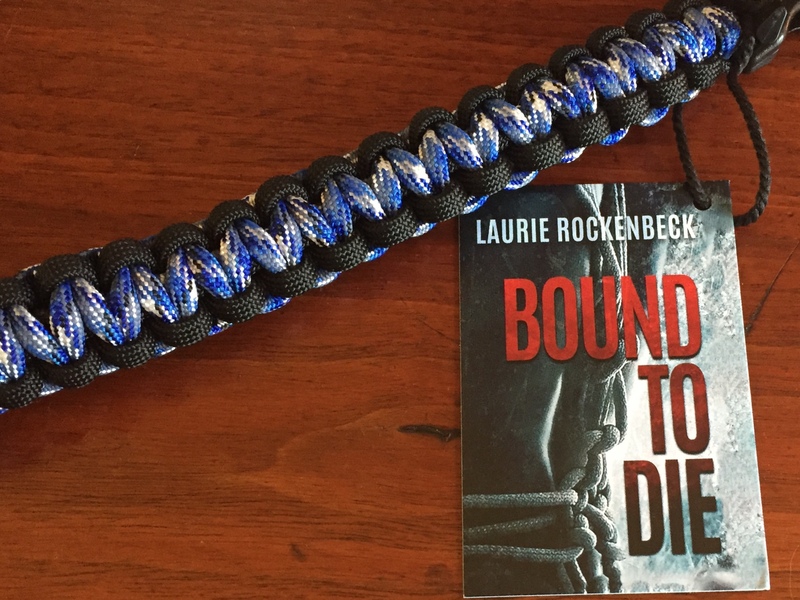 Since the victim in Bound to Die is killed with rope, I wanted something, well, ropey to hand out to people. 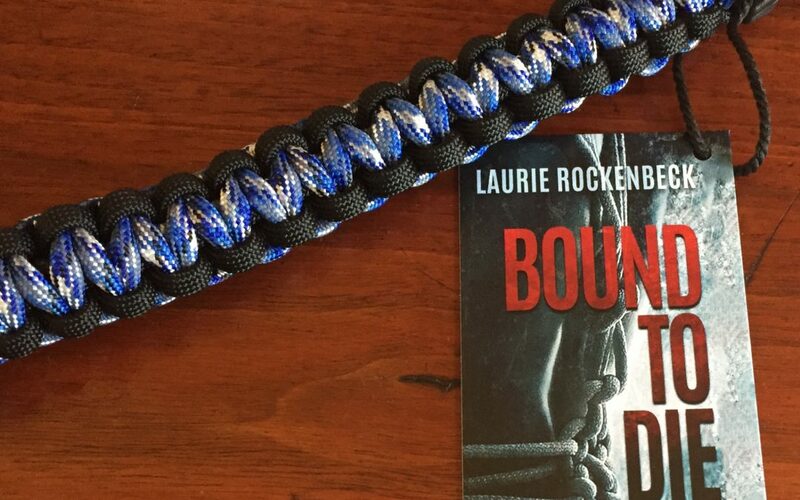 One of my writing group members suggested I investigate paracord options. I didn’t want to sepnd upwards of $3 per swag item. So, I decided to make 180 paracord bracelets myself. As a knitter and fiber artist, I figured I’d really enjoy the project. It takes about ten minutes start to finish. When you’re used to knitting your way through a garment over the course of months, it’s kinda fun to crank out ten finished pieces a day. This project let me catch up on all my televisions shows as I worked on them. One could argue the time would be bettter spent on my next novel. However, I have to do something creative other than write or I might go insane. I had a clothing tag made to match the book cover with a QR code on the back. People can scan it in and learn more about how they can take apart the bracelet and actually use the paracord. I’m kinda thinking they make a cool fashion statement. If you’re attending Left Coast Crime this year, you’ll also see me at the speed dating session, the new author’s breakfast, and on a panel discussion on gender in crime fiction on Friday at 11:30. Hope to meet some of you in Reno!